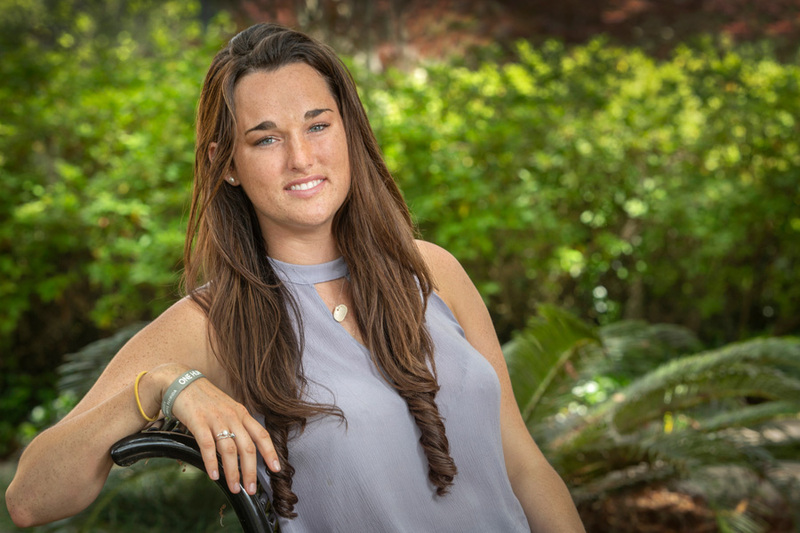 Florida State University senior Sarah Dodamead has always loved science, nature and marine life, and it’s easy to see why. She grew up in the Florida Keys and spent much of her childhood sailing around the Caribbean with her parents, who were expert mariners and scuba divers. Through that experience, Dodamead witnessed the effects of coral bleaching, usually caused by above-average water temperatures, and that included seeing marine life disappear. Those lessons about ocean ecosystems inspired Dodamead to do what she could to help the planet, and they helped shape a vision for her career and life. She had a couple of powerful reasons to attend Florida State. The university emphasized research and creative problem-solving, and her older brother Thomas Dodamead, whom she’d always looked up to, was an FSU student at the time. Dodamead is on track to earn a degree in physics and astrophysics, a major that has afforded her some valuable research opportunities. Under the guidance of Mark Bourassa, professor of meteorology and associate director of the Center for Ocean-Atmospheric Prediction Studies, she has studied how oceans interact with the atmosphere. She also had the opportunity to work with Hanwei Gao, assistant professor in the Department of Physics, and learned new insights on nanotechnology and solar-energy applications. She helped Gao conduct tests and analyze data on technologies used in solar panels. Dodamead’s intellectual curiosity and determination stood out to her professors. An FSU IDEA Grant allowed Dodamead to conduct research in Bangladesh and on the way there, she stopped in Indonesia to climb an active volcano, Mt. 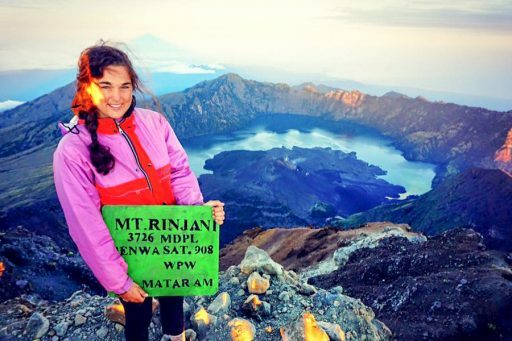 Rinjani, which has an elevation of more than 12,000 feet. In 2016, Dodamead was awarded a Critical Language Scholarship from the U.S. Department of State to work with Americans living in India. She lived in West Bengal for two months and attended the American Institute for India Studies. During that stint, she helped American workers improve their foreign language skills and taught students how to prepare for the increasingly globalized workforce of the 21st century. In 2017, Dodamead received a $4,000 FSU Idea Grant, which allowed her to travel to Bangladesh to work as a visiting researcher at the International Centre for Climate Change and Development. As part of that experience, she filmed a documentary highlighting the social impacts of climate change in developing nations. The film was designed to raise awareness about the adverse effects of climate change on people around the globe, and it aimed to build support for those communities. In 2018, Dodamead volunteered in Peru with the nonprofit group Seeds of Hope, which serves children living in extreme poverty. She taught schoolchildren English and math skills, joined them on field trips and helped serve nutritious meals — all meaningful and memorable opportunities. “The program was established to ultimately pay for the students’ university or vocational fees and enable them to end the cycle of poverty in their families,” she said. Dodamead’s passion for ocean preservation was strengthened by her love of watersports. She joined FSU’s wakeboarding, surfing and kiteboarding clubs, and those groups connected her with like-minded adventurous students on weekend trips to the beach for camping, surfing and kiteboarding. “By joining these organizations, I’ve been able to find people with similar passions and find my home within FSU’s community,” Dodamead said. Through her research, travels and involvement on campus, Dodamead has made an indelible impression on the people and world around her. She plans to build on that legacy by pursuing an advanced degree in oceanography and continuing to lead environmental preservation efforts.